PubMatic, the publisher-focused sell-side platform (SSP) for an open digital media future, released a commissioned study conducted by Forrester Consulting, which found that buyers are allocating nearly a quarter of digital advertising budgets to mobile apps to capitalize on increased targeting and customer engagement, despite concerns about in-app fraud and measurability. The findings of this study provide vital recommendations and steps publishers can take to maximize ad revenue from mobile in-app environments. 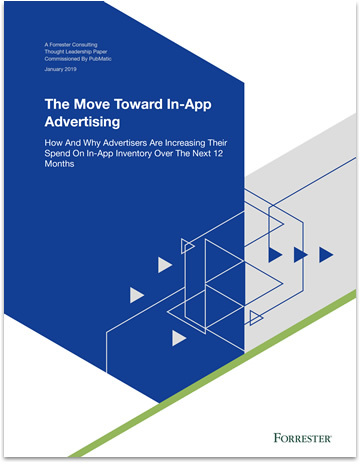 In October 2018, PubMatic commissioned Forrester Consulting to explore how media buying organizations plan, and purchase, programmatic in-app advertising to empower publishers and app developers to take advantage of the growing investment in in-app. The study found buyers are allocating nearly half (45 percent) of their digital advertising budgets to mobile, split evenly between web and app. Additionally, media professionals are opting for programmatic buys, via both programmatic direct and open exchange, over direct buys for in-app inventory. Better customer engagement and targeting abilities are driving investment in in-app ads, with about three-quarters of marketers buying the format programmatically because the medium offers these benefits. Further, over half of all respondents expressed that in-app delivers on those promises. 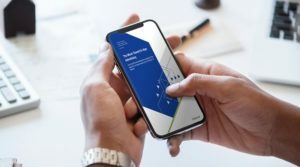 Fifty-six percent of respondents say they experienced better audience targeting with in-app ads while 54 percent received more effective customer engagement from the format. To learn more and download the study, please visit here.